Properties in Santa Cruz Beach average 4.6 out of 5 stars. Property 8: Garajau penthouse villa with superb sea views from Funchal to the Desertas. Property 18: !!! PRIVATE SEA ACCESS AND SEA WATER POOL !!! Property 23: "Dom Carlos" Paradise Seaview Villa, with Sunrise & Sunsets Everyday! Best views of Funchal. Luxury 3 bed villa with heated pool. Near town centre. Property 25: Best views of Funchal. Luxury 3 bed villa with heated pool. Near town centre. 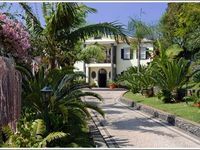 A great holiday home location and ideal base for exploring Madeira - 'O Retiro'. 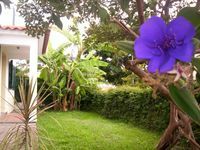 Property 28: A great holiday home location and ideal base for exploring Madeira - 'O Retiro'. STYLE & LOCATION. VIP LOUNGE. Weekly to monthly for adults. Property 37: STYLE & LOCATION. VIP LOUNGE. Weekly to monthly for adults. The bay house New house on cul -de-sac Jus two more houses. Property 45: The bay house New house on cul -de-sac Jus two more houses.